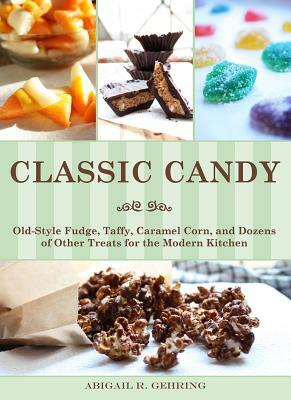 Homemade candies are easier to make than you think and more delicious to eat than you can... With this book, you'll be whipping up dozens of candies that don't require special molds, pans, or any kitchen appliances you don't already own. From nut barks to lollipops, gumdrops to truffles, all your favorite candies are here, as well as a few new ones you won't be able to resist. Many recipes include sugar-free and/or corn syrup-free alternatives for health-conscious confectioners. Whether you're making sweets for yourself, for your family, or as gifts, the easy-to-follow directions and beautiful full-color photographs in this book will ensure you get the results you want. Some of the delicious candies include: Chocolate coconut candy bars Cinnamon hard candies Crystallized ginger Gumdrops Maple nut fudge Pecan toffee Rock candy Turkish delight, and more!